UpFront with NGS: Preserve the Pensions [War of 1812] -- Genealogy Road Trip Contest -- Enter NOW! Preserve the Pensions [War of 1812] -- Genealogy Road Trip Contest -- Enter NOW! NGS encourages genealogists to partner with FGS, FamilySearch, and the National Archives to preserve the War of 1812 pensions. Because of this, NGS wants you to know about The Genealogy Road Trip Contest! Have you ever wanted to take a research trip to one of the top genealogical libraries in the United States and find out more about your ancestors? Are you all packed and ready to hit the road? The Federation of Genealogical Societies is holding a contest to raise awareness about its Preserve the Pensions project to preserve and digitize War of 1812 pension files at the National Archives. To participate, simply complete the entry form below and add your name to our email list and then wait for your name to be selected for one of several prizes! o Salt Lake City Genealogy Research Package: A 7-night stay at the Salt Lake Plaza Hotel, a $200 meal gift card, and a $50 Family History Library photocopy card. Total value = $1,100. o Fort Wayne Genealogy Research Package: A 7-night stay at the Fort Wayne Hilton Hotel, a $200 meal gift card and a $50 Allen County Public Library photocopy card. Total value = $1,100. o Flip-Pal® mobile scanner: A genealogists’ best friend: mobile scanner for all your family photos and genealogy documents. Total value = $150. o findmypast.com 1-Year Membership: A one year membership to findmypast.com. Total value = $100. o And more! Prizes from Just a Joy, The Heirloom Registry, Maia’s Books, RootsMagic and more! o The total value of all the prizes for this contest is over $2,800! 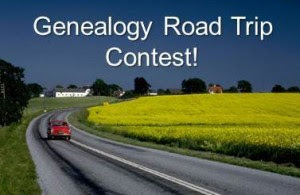 We’ll begin drawing for prizes on Monday, May 20, 2013 and draw prizes each day leading up to Friday, May 24, 2013, when we’ll select the winner of the Genealogy Research Travel Package! All winners will be notified by email. In order to qualify for the contest, you must be a resident of the United States, over age 18 and provide your email address so we can contact you if you are a winner. After the contest, we’ll send you the latest information about the Preserve the Pensions project and you can unsubscribe from our mailing list at any time. Full contest rules can be found here. Besides entering the contest, consider making a donation to the Preserve the Pensions project today. Not only will you help preserve and digitize War of 1812 pension files, but you’ll also be entered into a drawing to win a stunning War of 1812 commemorative quilt! Click here for more information and then look for the drawing in late August 2013.
o Click here to simply sign up for our e-newsletter and you’ll be automatically entered into the Contest! Please spread the word about our contest on Facebook, Twitter, Pinterest and other social media. And also visit the Preserve the Pensions website to learn more about this community effort to preserve an essential part of American history.